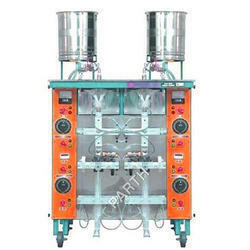 Leading Exporter of calcium packaging machine and automatic calcium packing machine from Rajkot. We are among the distinguished names in the industry for manufacturing and trading Calcium Packaging Machine. 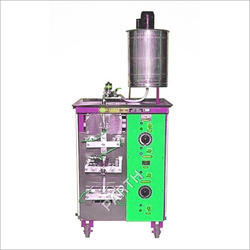 The offered machine is made in tune with the latest generation techniques and is extensively demanded in pharmaceutical industry for packaging calcium powder in pouches. This machine is sturdy in terms of housing as well. We are among the veterans in the industry for manufacturing and trading Automatic Calcium Packing Machine. The offered machine is used for packaging of calcium powder into pouches for the pharmaceutical industry. This machine is effective in performance, robust in terms of construction and requires low maintenance. It is available at industry leading prices as well. Looking for Calcium Packaging Machine ?